People who find notes convenient may often use it to record important or easily forgotten information, such as interview addresses, meeting points, shopping lists, etc. If you are also the one who does the same thing on your iPhone 7/7 Plus notes, you will not want to be an unlucky number to deal with disastrous data loss. Just calm down if that happens. In this post, we are going to mention 4 solutions for you to rescue/recover deleted notes on iPhone 7 step by step, including recovering from Notes "Recently Deleted" folder, with iPhone notes recovery and via iTunes & iCloud backups. Similar to your iPhone "Photos" app, there is a thoughtful design, "Recently Deleted" folder, on iPhone 7. It can be used to help keep deleted notes for 30 days. Within this period, you can choose to recover the notes you need and get them back to iPhone 7/7 Plus. Step 3: Select the notes you want and click on "Move To..." to export them to desired folder. It's possible that you have emptied all notes from "Recently Deleted" folder. 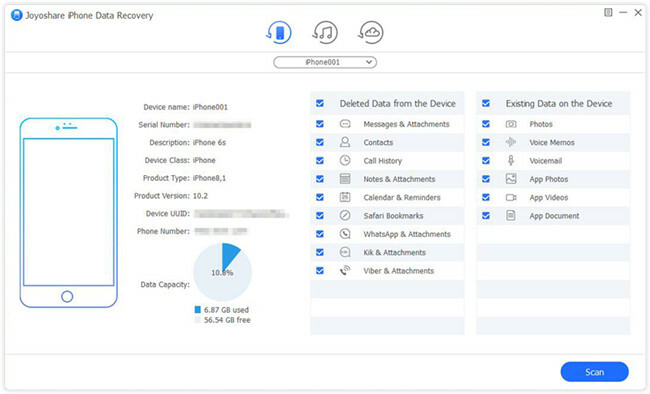 In this instance, you can make use of an excellent iPhone data recovery, like Joyoshare iPhone Data Recovery, to directly scan, search, analyze and retrieve deleted notes from iPhone 7/7 Plus. What's more, this iPhone 7 notes recovery can well compatible with the latest iOS 12 and the newest iPhone XR/XS/Max. Apart from notes, it supports more 20+ iOS data types, including photos, videos, iMessages, voice memos, Kik/Viber/WhatsApp attachments, Safari bookmarks, etc. 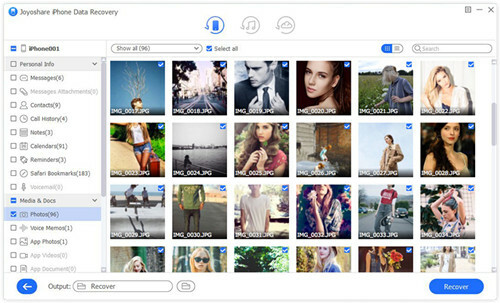 Its real-time preview and fast scanning speed features incredibly satisfy lots of iPhone users. Download the version (Windows or Mac) you want of this program on your computer. 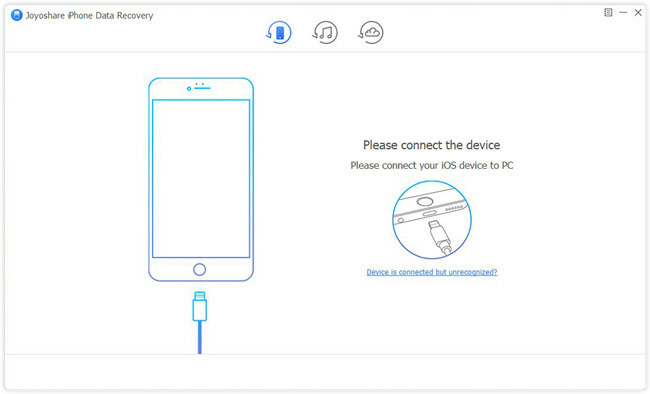 Then open it and plug the iPhone 7 or iPhone 7 Plus with one matchable USB cable under "Recover from iDevice" mode. Joyoshare software will help detect and recognize your iPhone 7/7 Plus. It displays all device info for you and shows supported data types at the same time. Go to uncheck all data and only select whatever you would like to recover, for example, "Notes & Attachments", "Photos", etc. Simply click on the "Scan" button at the right bottom. 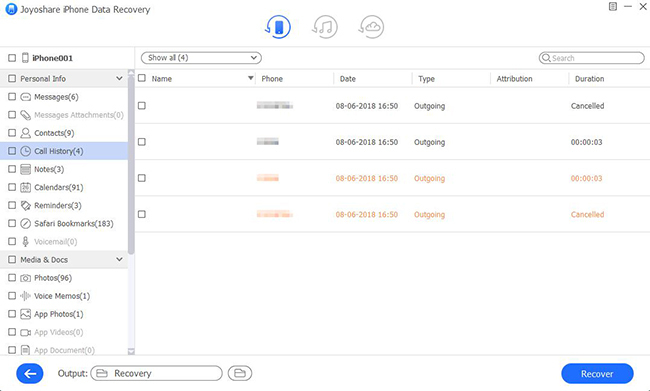 When Joyoshare stops scanning and classify all recoverable contents, you can go to preview data in real time as you wish. Then you ought to tick needed iPhone 7 notes and press the "Recover" button to output them to your computer's local folder. 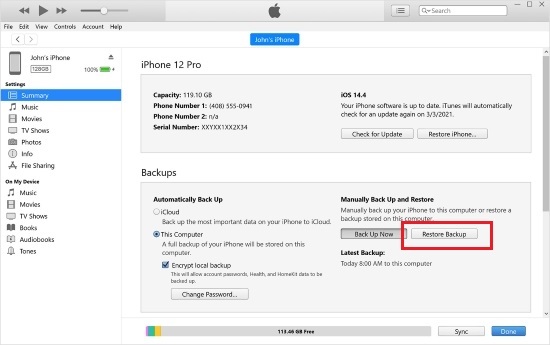 Make sure that you have at least one iTunes backup, with which you can get the deleted notes from iPhone 7 back without problem. But what you should keep in mind is that the selected iTunes backup will overwrite/replace all your current data saved on iPhone 7. If you don't mind, just go to follow the steps below. Step 3: Choose one iTunes backup to restore and keep iPhone 7 connected during the whole process. Additionally, you can restore your deleted or lost notes from iCloud backups as long as you have synced and backed up notes to iCloud before. It is similar to get notes off iPhone's Notes App. You can take time to learn here. Step 3: Mark the notes you need and click on "Recover" button to export, which will be back to "Notes" folder later.